"Lies, Betrayal, Abuse … This Is One Girl's Story"
New York, January 4, 2012 – Bigfoot Entertainment, together with the Fashion One Television Network and the Fashion One Foundation, are all set to premiere the highly anticipated feature, The Girl With No Number. The drama tackles the controversial, worldwide problem through one young girl's story. 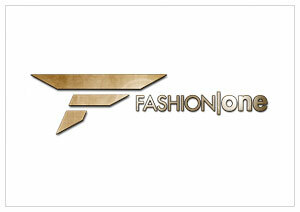 The official broadcast debut on Fashion One will coincide with the National Human Trafficking Awareness Day on January 11, 2013. The Girl With No Number is a hard-hitting drama about a young Vietnamese woman named Phuong Ly, played by Vietnamese model Bebe Pham, whose life is turned upside down when she is forced to choose between true love and an opportunity to relieve her family from serious financial debt. She is wooed into believing she will live a happy life with the American foreigner, Mitch, played by Jay Laisne. However as soon as she arrives in America, Phuong Ly's "American Dream" becomes a nightmare. The only ray of light is the bond she develops with the American's young, autistic niece; both of them prisoners needing to escape. The Girl With No Number had a special screening run during the 1st Singafest Asian Film Festival as a benefit event for The Asian Professional Exchange (APEX) and The Center for the Asian Pacific Family (CPAF). This film from Bigfoot Entertainment portrays a powerful perspective on human trafficking, which highlights the fact that trafficking is a worldwide epidemic. "It is a movie befitting the upcoming recognition of the Human Trafficking Awareness Day. The film brings awareness and is the first step for the Fashion One Foundation in shedding light to the masses on this issue," Fashion One Foundation director, Ashley Jordan, explains. The official TV broadcast debut of The Girl With No Number will be one January 11, 2013 at 10:30pm (Asia GMT+8 / Europe except UK and Africa GMT+2), exclusively on Fashion One.